Kevin is the founder of Tostie Productions, a high-definition film and video production company based in Waltham, MA. But strangely enough, before launching a career as a filmmaker, he earned a B.S. degree in Electrical & Computer Engineering. While in his senior year as a member of the inaugural class at Olin College of Engineering in Needham, MA, with a classmate they wrote, produced and directed a full-length independent feature, Yellow Lights. This movie took home awards for “Best Feature” and “Best Cinematography” from Indie Fest USA 2007 as well as Telly and DV Awards. In addition to his work on Under the Boardwalk, Kevin was a producer on Eternity: The Movie, Research., and the upcoming documentary SUDS COUNTY 2: The Boil Over. Kevin is also developing two brand-new feature films; for more information, visit Tostie Productions. 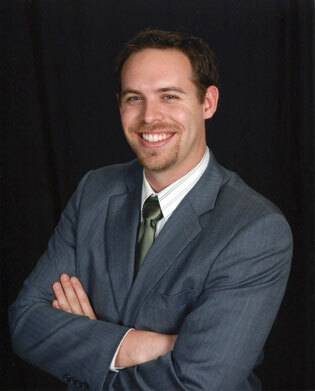 Kevin has worked on webisodes for NBC's Heroes, Disney Channel commercials, music videos and several short films. Kevin’s demo reel can be found at Tostie Productions. Since completing photography on Under the Boardwalk, Kevin has been putting the MONOPOLY tips and tricks he's learned to good use by competing in MONOPOLY tournaments, even besting a former World Champion in one tournament. Craig is president of Imageworks, a video production company he founded in San Diego in 1986. He received a film and television degree from San Diego State University, where he graduated with distinction . While at SDSU, he was chosen by the American Cinema Editors as one of the top three student editors in the nation. 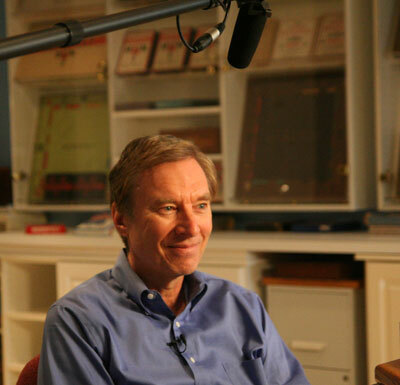 In the 80s, Craig managed one of the first interactive video networks in the industry for a national home center chain. Since founding Imageworks, he has written, produced and directed a wide variety of videos for clients such as Coca-Cola, VISA and IBM. Industry recognition includes Regional Emmys, Tellys, Auroras and Communicator awards. Stephen formed and heads up Rhino Films, the independent film company that originated as a division of iconoclastic record label Rhino Records. He has produced ten films and executive produced fourteen others. He is also working with Amnesty International through Artists for Amnesty on developing and producing human rights related projects. His Producer credits include Fear and Loathing in Las Vegas, Why Do Fools Fall in Love, Dogtown and Z Boys, What We Do Is Secret, and the upcoming You and I, and Radio Free Albemuth. Nemeth executive produced the documentary War/Dance which was nominated for a 2008 Academy Award for Best Documentary; Fuel which won the Audience Award at the 2008 Sundance Film Festival; Flow which was screened at both the Democratic and Republican Conventions, and Pick Up The Mic, which premiered at the 2005 Toronto International Film Festival. Nemeth is in production on numerous other documentaries including Beisbol, Climate Refugees, White Man's Burden and films about George Plimpton, Budd Schulberg, artist Robert Williams, and new wave band Devo. He serves on the boards of the Woodstock Film Festival, the Wildlife Ecostation, Wheels For Humanity, Children Uniting Nations, Shine On Sierra Leone, OneVoice, the Hollywood Film Festival, the Veggie Van Organization, and the One Second Film Foundation, and is a consultant for Admetech, a prostate cancer research foundation at the Harvard Medical School. Phil is the president of specialty games company Winning Moves. Phil is a former Senior Vice President of Research and Development for Parker Brothers and is widely regarded as the leading expert on the game of Monopoly. Phil has published three books about the all-time best selling board game: MONOPOLY, Money, and You, The Monopoly Companion, & Monopoly: The World’s Most Famous Game and How it Got that Way, as well as a book about the history of Parker Brothers titled The Game Makers. Phil also serves as a historical consultant for Hasbro Games, current owners of Parker Brothers, and as chief judge at the U.S. and World Monopoly Championships. Jordan, a San Diego native, graduated with honors from San Diego State University in 2004 with a Bachelor of Science in Television, Film, and New Media and a Minor in Theatre with an emphasis on Directing. While at SDSU, Jordan had the opportunity to produce, direct, DP and/or write over 20 short films including producing the Kodak 35mm Award winning short film Change of Address and co-producing the international 2007 Student Emmy winning short For the Oysters. Since graduating, Jordan has been working professionally in the television & film industry holding various positions from Assistant to the Producer of the highly praised television series Veronica Mars, as well as Set Decorator on the 2008 feature-length Imax documentary Proud American, and recently as Co-Creator & Editor of the acclaimed video-art installation Army of Icons, a part of the bi-national, San Diego-Tijuana based Adapta Project. Jordan co-produced, edited and shot a series of webisodes for the Del Mar Thoroughbred Club and is the Co-Producer & Director of Photography on the international feature-length documentary Sea Gypsies: Seven Giant Waves, a film about the cultural devastation of one of the last indigenous people of Thailand.